The IAEA report and annex released today provides disturbing and “credible” additional details regarding Iranian nuclear warhead development efforts that have allowed Tehran to acquire some of the expertise needed to build nuclear weapons, should it decide to do so. The broad outline in the IAEA’s latest report on the military dimensions of Iran’s program is not new, but rather, provides greater detail regarding weapons-related activities outlined in previous public reports. The IAEA report and annex reinforce what the nonproliferation community has recognized for some time: that Iran engaged in various nuclear weapons development activities until 2003, then stopped many of them, but continued others. 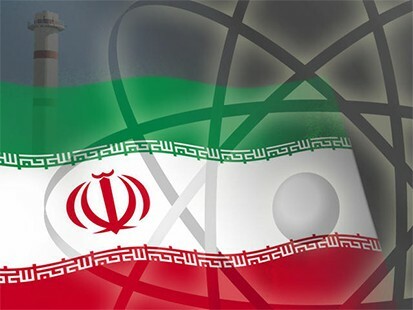 The activities documented in the IAEA report, including research related to nuclear warheads, underscore that Tehran’s claims that it is only seeking the peaceful use of nuclear energy are false. The report suggests that Iran is working to shorten the timeframe to building the bomb once and if it makes that decision. But it is also apparent that a nuclear-armed Iran is still not imminent nor is it inevitable. The report should prompt more intense international pressure on Tehran to respond more fully to the IAEA’s questions, allow for more extensive inspections of its nuclear facilities, engage more seriously in talks on its nuclear program, and to agree to confidence building steps to help resolve the crisis. The IAEA deserves credit for continuing to press the issue and present this important information to the IAEA Board of Governors in spite of Tehran’s unwillingness to cooperate with the investigation. This resolve helps to bolster the integrity of the agency and show that countries cannot simply get away with their violations by denial and obfuscation. In response to the report, the White House has smartly underscored that the United States continues to focus on using diplomatic channels to pressure Iran to abandon its sensitive nuclear activities. To keep open the option for an effective negotiated resolution to the crisis, President Barack Obama should also reiterate the willingness of the United States and its P5 +1 partners to follow-through on the recent letter from the EU’s Catherine Ashton to Iran’s leaders offering to engage them in further talks to address the nuclear program. Continuing pressure through targeted sanctions against Iran’s nuclear and missile sectors, coupled with the pursuit of a negotiated agreement to resolve serious concerns over Iran’s sensitive nuclear activities and to limit its uranium enrichment capacity provides the best chance of preventing a nuclear-armed Iran. Talk of military strikes against Iranian nuclear and military targets is counterproductive. Military strikes by the United States and/or Israel would only achieve a temporary delay in Iran’s nuclear activities, convince Iran’s leadership to openly pursue nuclear weapons, rally domestic support behind a corrupt regime, and would result in costly long-term consequences for U.S. and regional security and the U.S. and global economy. Ultimately, resolving the nuclear issue will require sufficient pressure and inducement to convince Iran that it stands more to gain from forgoing a nuclear-weapons option and much to lose from any decision to build them. This entry was posted in Iran, Middle East, Nuclear Weapons and tagged IAEA Iran Report 2011, IAEA Report, Iran, Iran Nuclear Program, NPT, Nuclear Nonproliferation Treaty. Bookmark the permalink. That’s the important take away. Nothing substantially new.